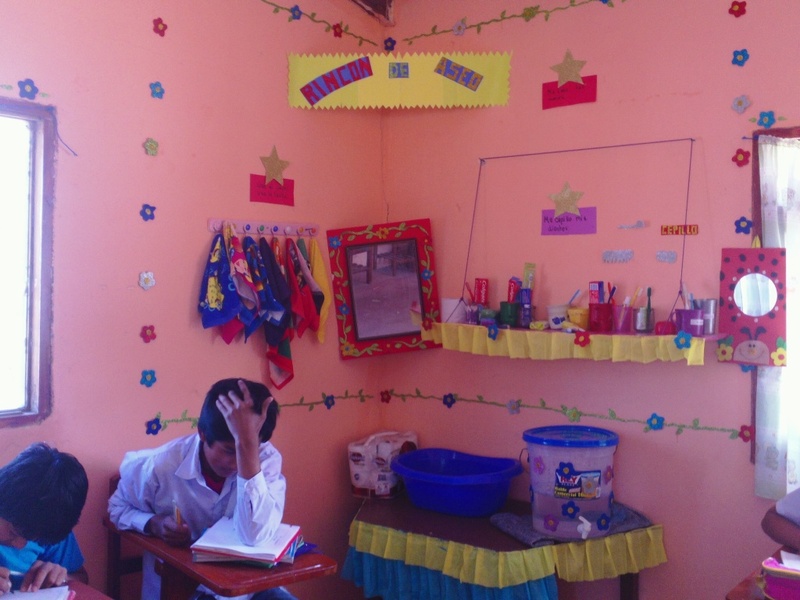 In late September, the students in first and second grade at the school “10 de Agosto” in the rural village San Lorenzo worked together to create a school hygiene corner. Check out the incredible new space the kids designed for practicing healthy habits. This is just one of many health corners that have been implemented into classrooms over the past few months. The hygiene corner in this classroom shows the incredible organizational skills of the class as well as their creativity and pride in their corners. They have worked very hard to make their healthy space a clean, bright, decorative location that they will want to show off to other classes and schools! Thank you very much for your support to both Gus & Elena’s hike and Etta Projects’ work in Bolivia. Today the students at 10 de Agosto start each day by brushing their teeth and washing their hands. These simple actions stop the spread of the most common diseases found in the village. (We bet that Gus and Elena would appreciate a hygiene corner right now too :-)).